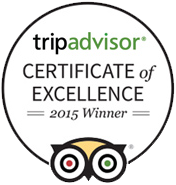 Very friendly and attentive staff. 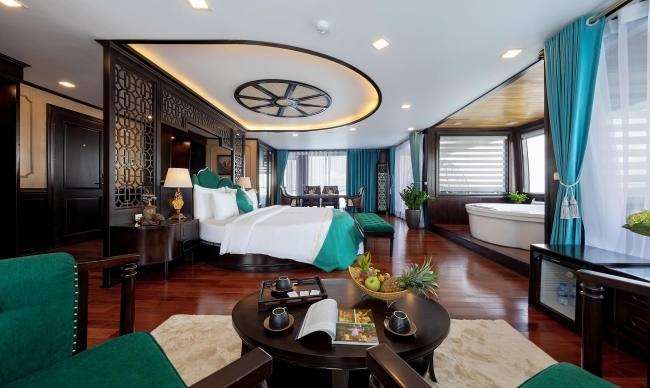 Rooms were clean. 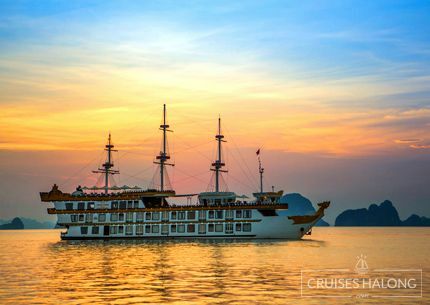 Could offer more on-cruise activities in the evening. 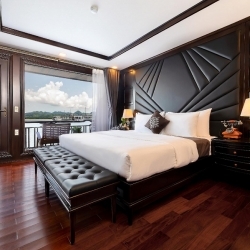 The only Queen Regent Suite in La Regina Cruise, as its name, is the “palace” of Queen Regent. 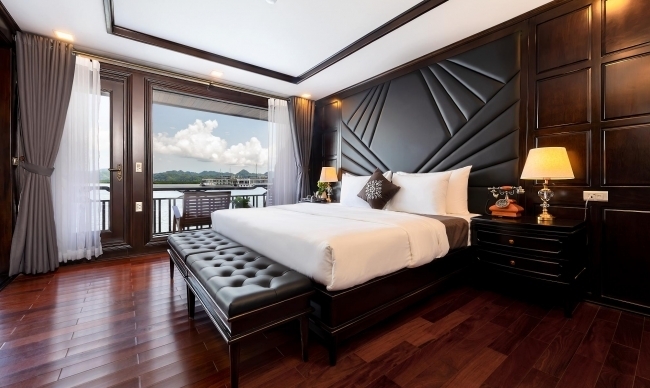 You will be treated as Queen Regent while conquering the bays “on top of the world.” Choose the Queen Regent Suite; you'll indulge in one of the most luxurious interpretations of the La Regina experience, from the spacious round-shape bed for queens, the open bathroom for ultimate wellness and relaxation to the excellent taste of sauvignon in-suite setup. 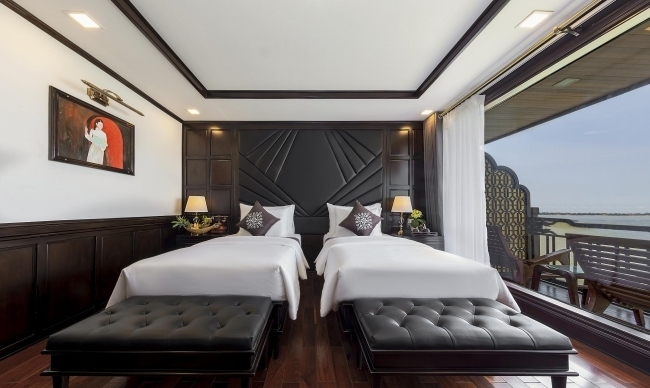 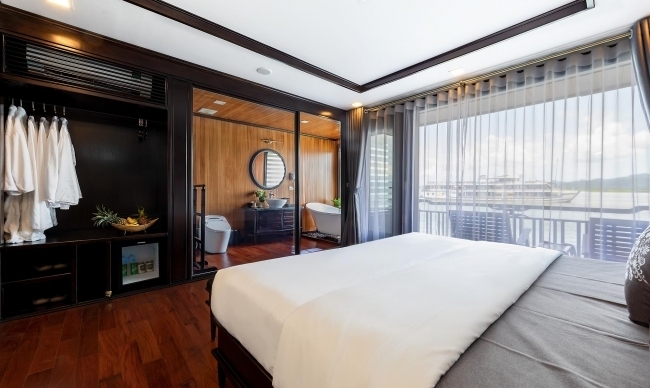 Your suite benefits from a sumptuous bathroom with bath and shower, velour robes and slippers, round-shape king-sized bed, spacious private terrace, desk with personalized stationery, cozy library corner for reading and enjoying coffee. 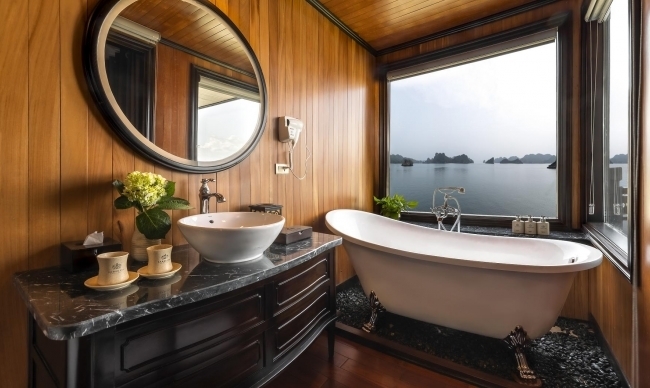 Extra touches such as, in-suite spa service, in-suite private dining service with butler, daily fresh fruit, complimentary fully stocked in-suite bar, plus the attentive service of the Queen Regent Suite ensure your stay never feels less than indulgent. 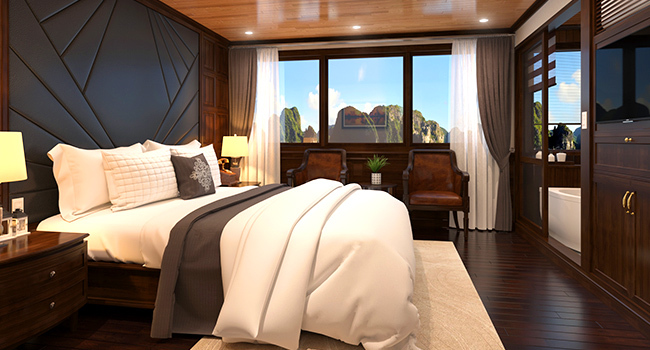 Your Queen Regent Suite, boasting about her incredible size of 135 square meters, is amongst the most exquisite luxury at sea. 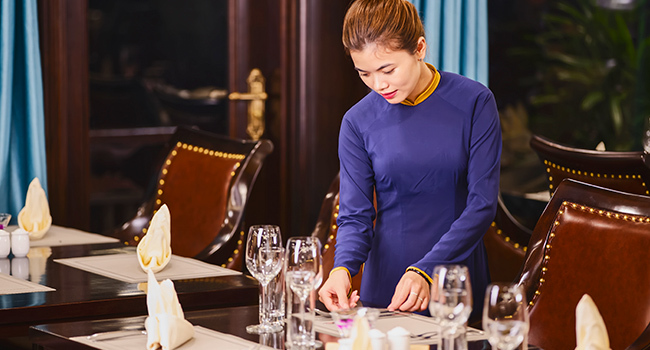 Your butler and concierge will see to your every request. 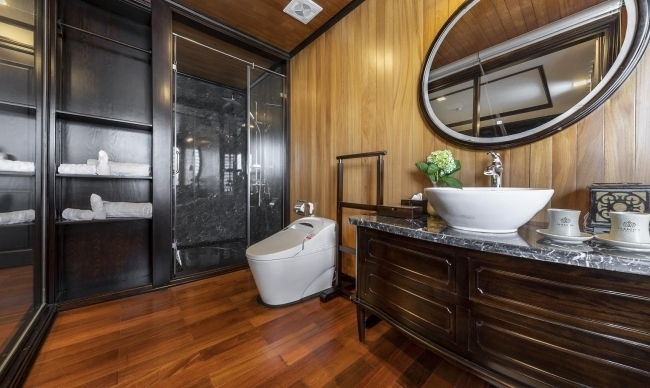 At Queen Regent Suite, ultimate privacy and the oceans of choices are possible. 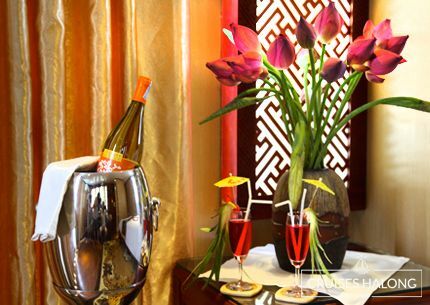 On arrival, champagne and chocolates welcome you to your well-appointed suite. 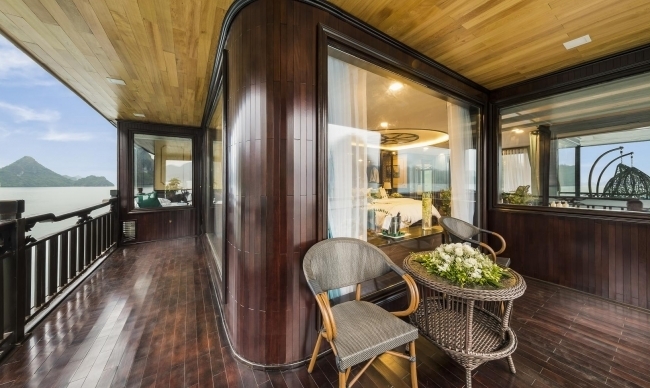 Now, it’s time to relax in your elegant private terrace, enjoy complimentary pre-dinner canapés, and decide if you'd like to continue your meal at a reserved table in the intimacy of La Corona restaurant, or you'd prefer to dine course by course in the suite. 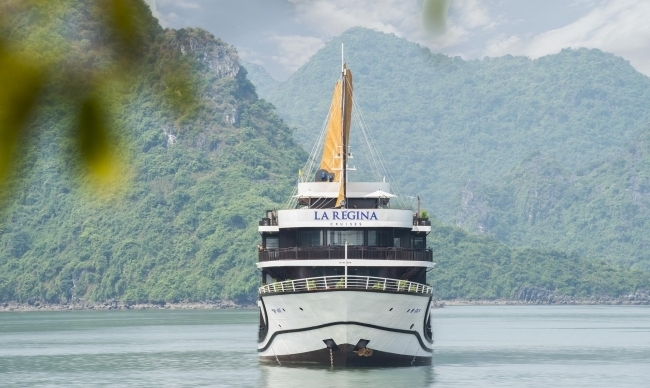 La Regina Legend Cruise is launched in September 2018 with 27 spacious rooms, the ship effortlessly blends all that’s great about the liners past – wood detailing and brass fixtures. 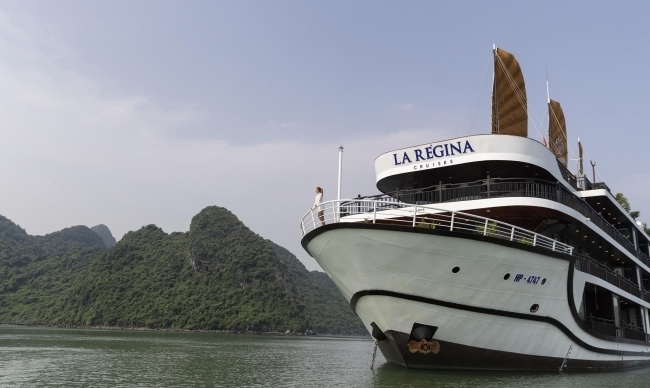 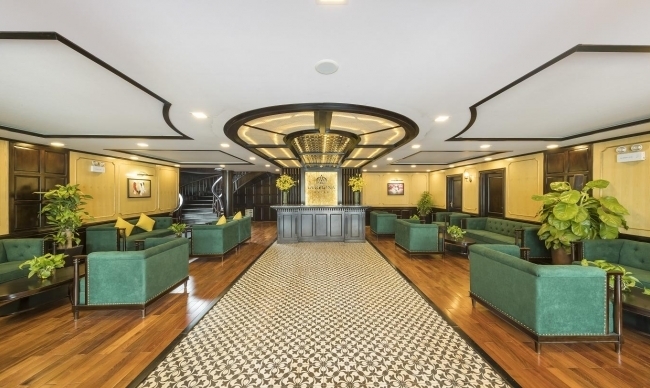 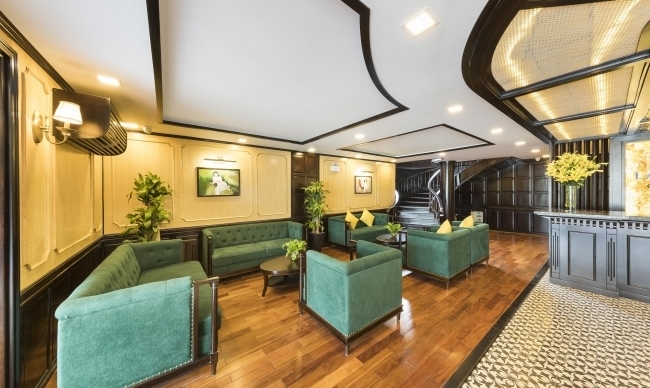 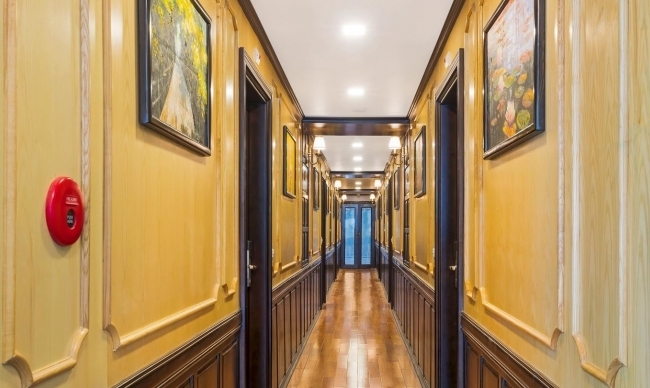 With style modern and luxury, she features luxury down to the smallest detail, from the ornately decorated paintings of Vietnamese queens in the restaurant to the wood-paneled library, La Regina Legend’s beauty lies within her features. 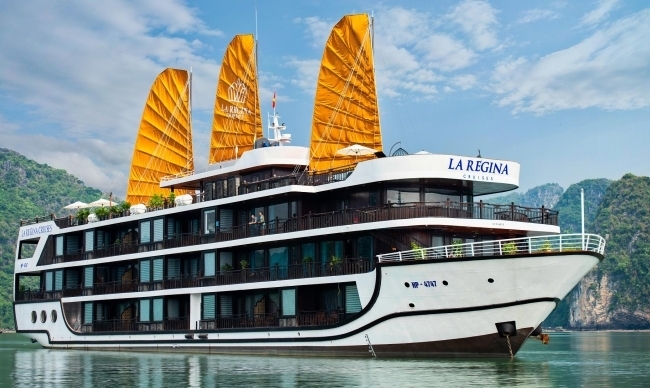 Joinning La Regina Legend, the four-deck cruise deserves to be fully explored to uncover her secrets and enjoy favorite places on board. 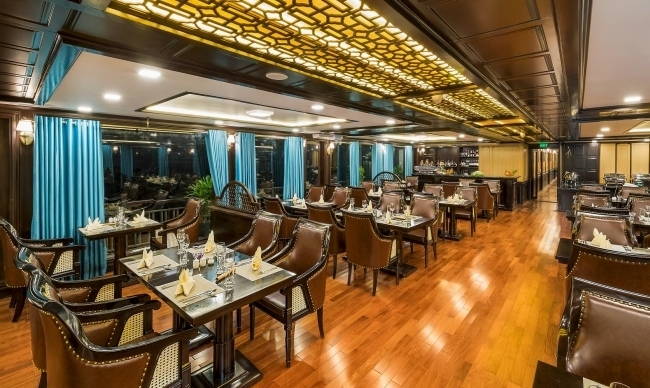 At La Corona Restaurant, the main restaurant on the second deck, tempting food and drink is exciting your senses. 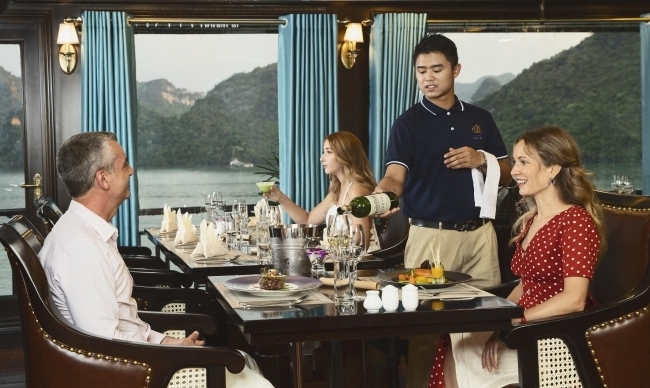 Here you'll be greeted with a warm welcome before you sit down and experience our exemplary, unique dining service. 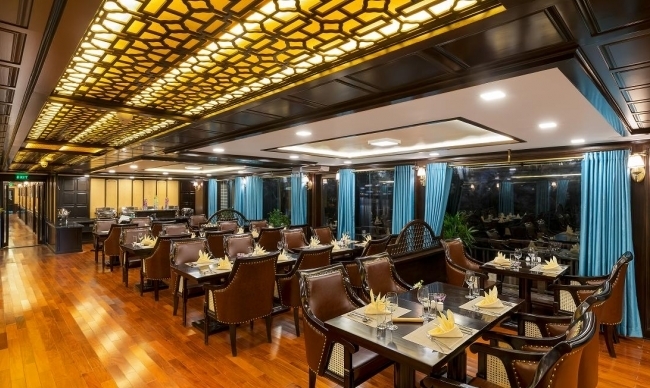 Our sophisticated and intimate restaurant serves up unerringly excellent cuisine for buffet breakfast and lunch, and à la carte dinner. 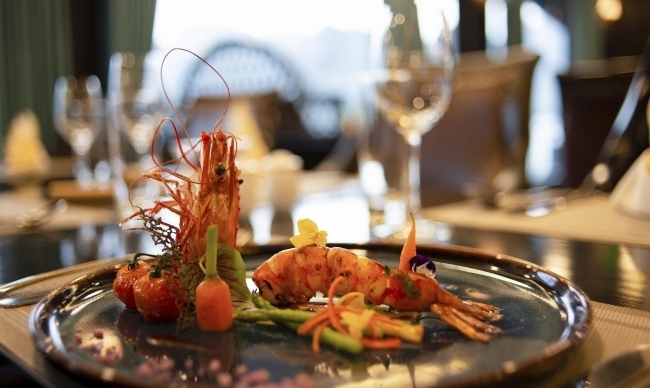 The most exceptional ingredients, prepared by experienced and skillful chefs, make every meal a culinary event. 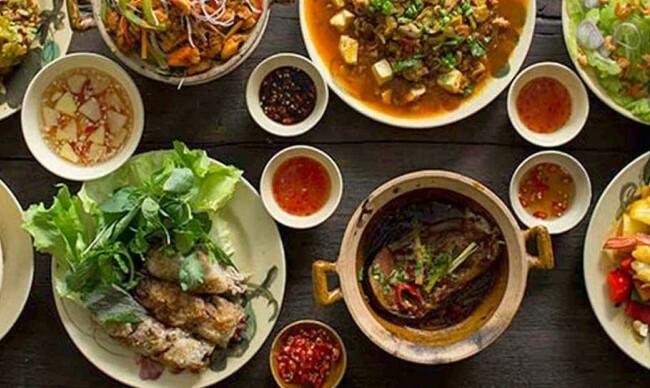 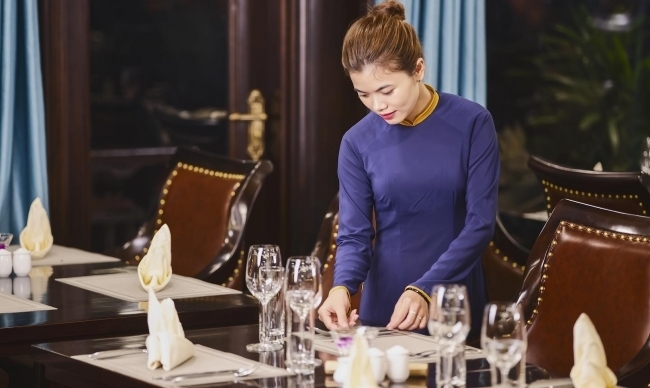 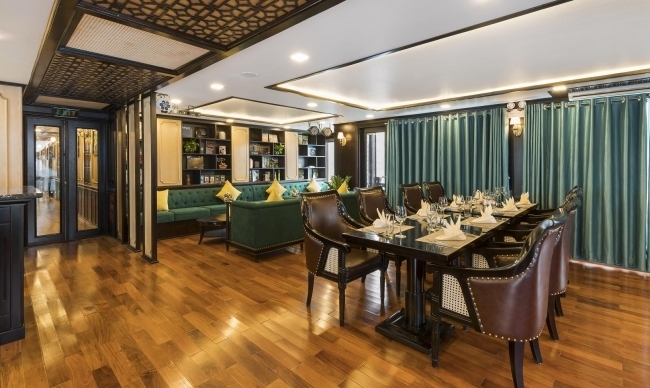 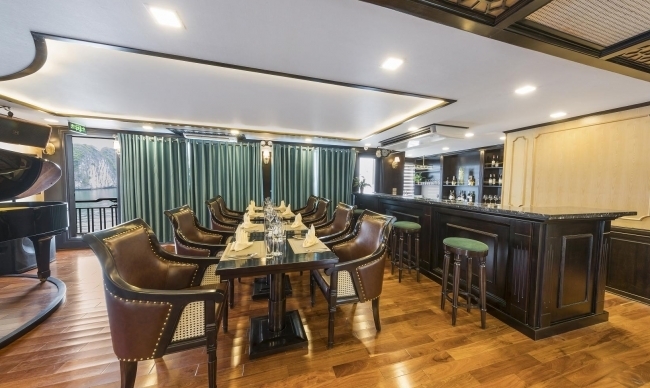 La Corona restaurant serves fusion cuisine with traditional Vietnamese taste and innovative modern dishes, prepared with fresh ingredients that have a strong provenance. 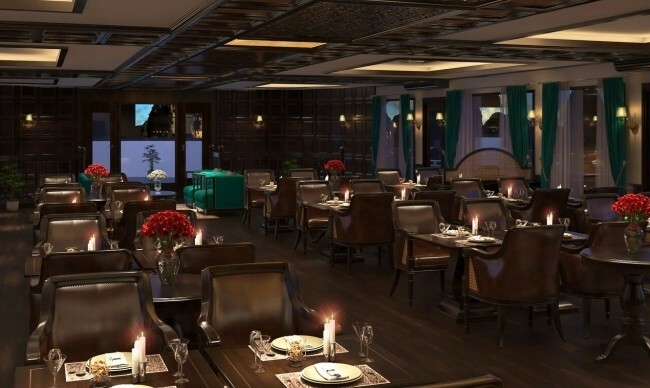 At La Regina, we believe gastronomy is of the essence of a voyage. 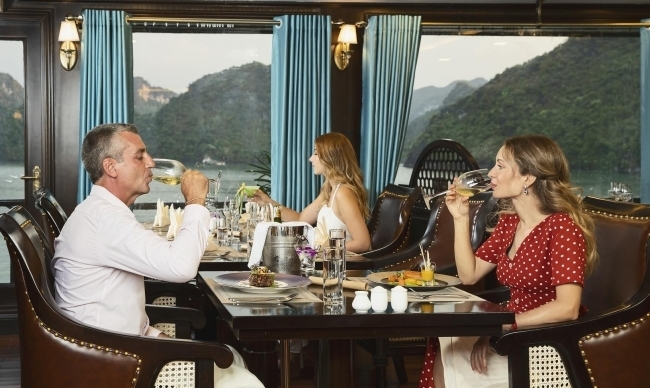 We try our best to create a touching and flawless gourmet journey on board with food and drink signature which is a highlight of our cruise service. 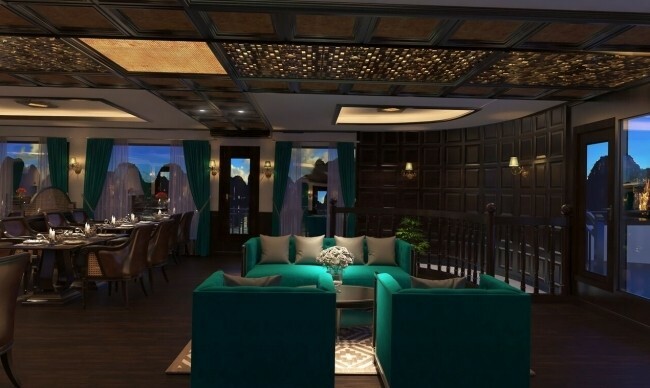 LE MAGIA CAFÉ & RESTAURANT How beautiful the idea is! 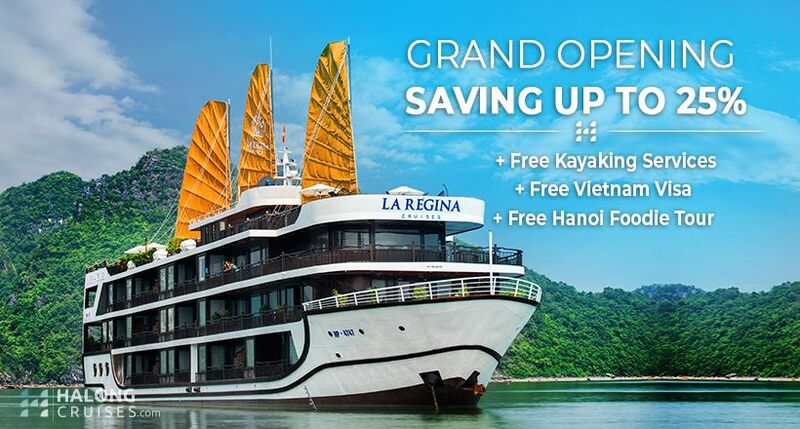 And it’s possible on La Regina Legend Cruise. 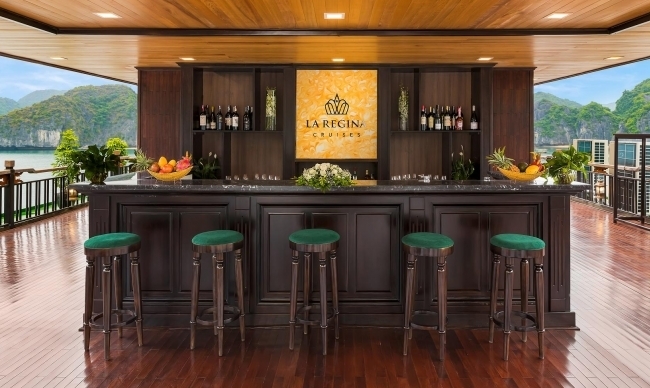 On the third-deck of La Regina Legend, you’ll find a gorgeous space of good drinks, delicate cakes, pleasant music and some fresh air. 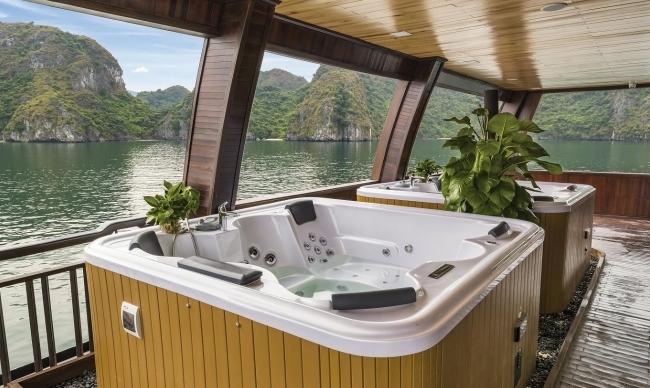 La Magia offers a little calmness and femininity during your cruise. 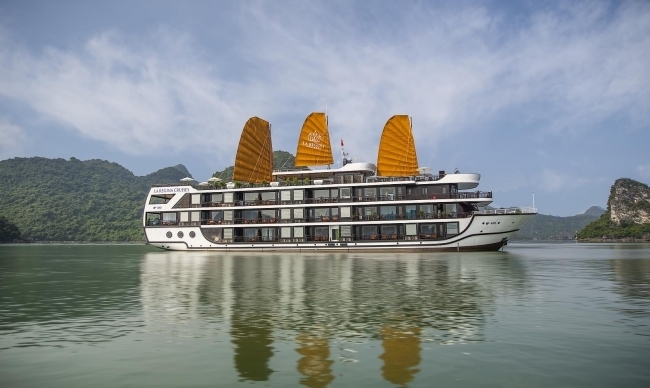 She gives herself beautiful airs with flowers, enchanting melody and fascinating decoration. 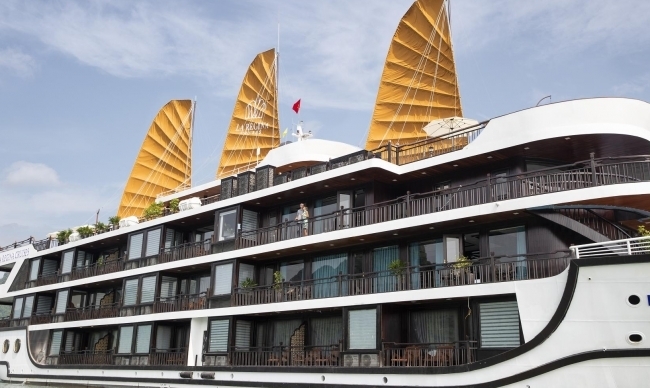 “La Magia” means “magic” in English, expects to bring a little magic into your time on board the cruise of queens. 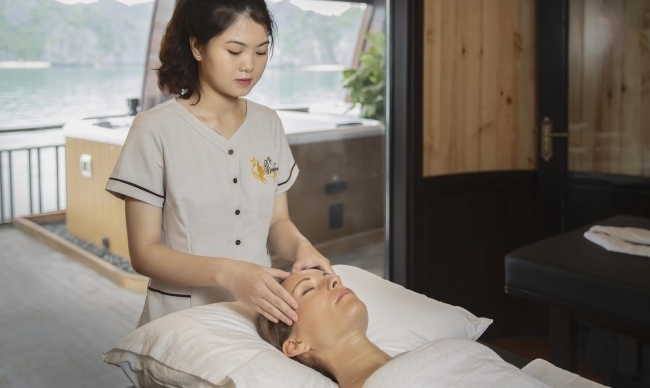 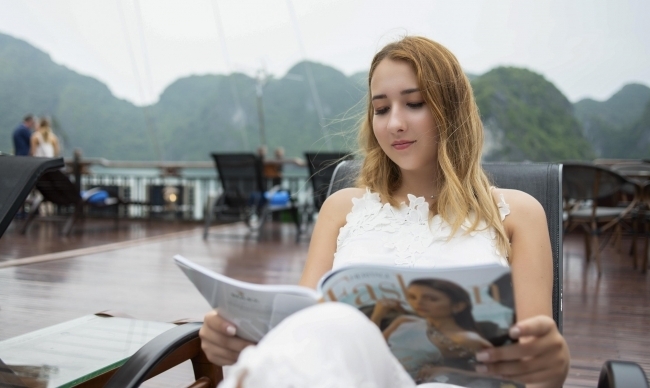 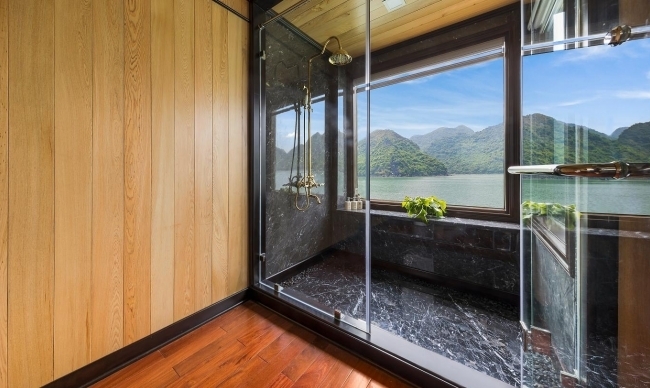 Imagine you are completely relax with an exclusive spa treatment of Vietnamese royal beauty secret, amid the dramatic backdrop of Halong Bay’s limestone mountain. 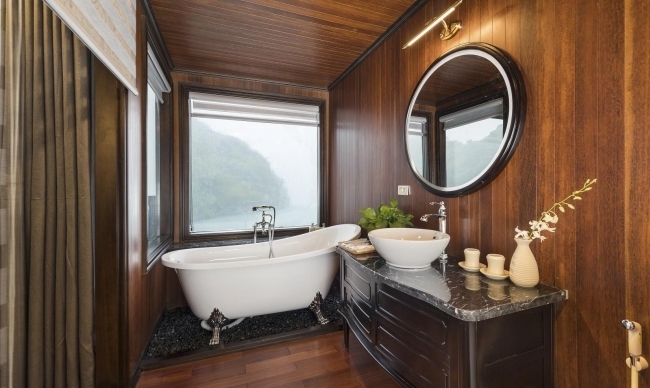 How soothing the experience is! 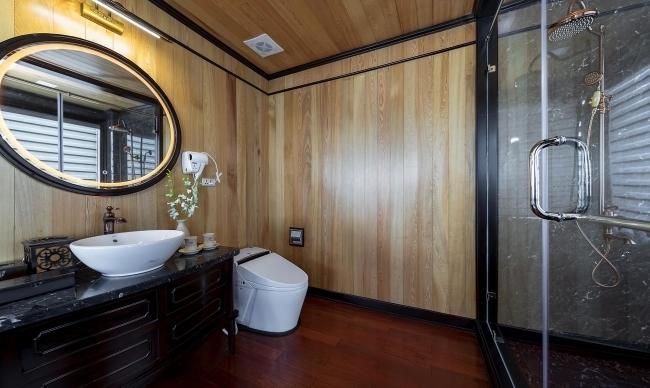 Our La Bella Spa with elegant décor and soothing fragrance offers indoor treatment room for privacy experience. 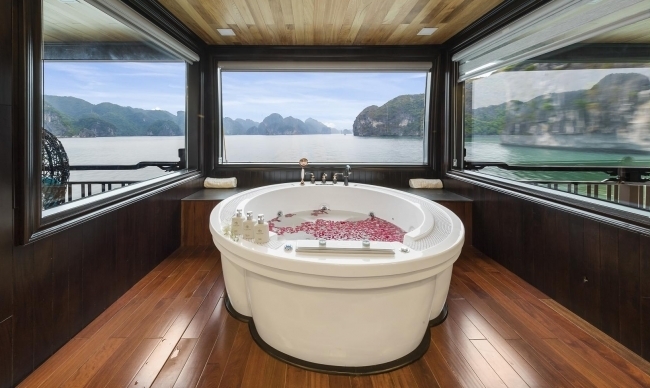 In-suite spa service is on request. 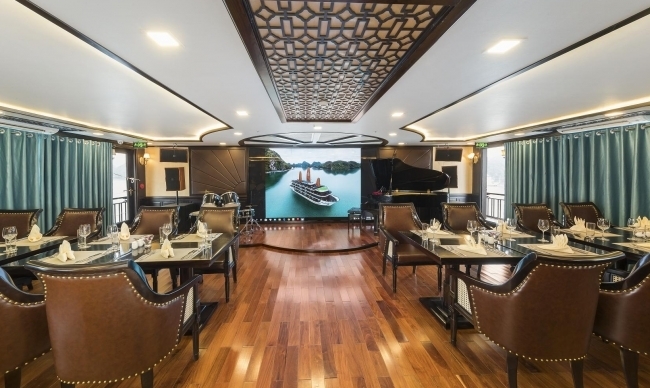 La Regina Legend Cruise is proud to claim ourselves the most professional in Tai Chi, Yoga and Mediation training. 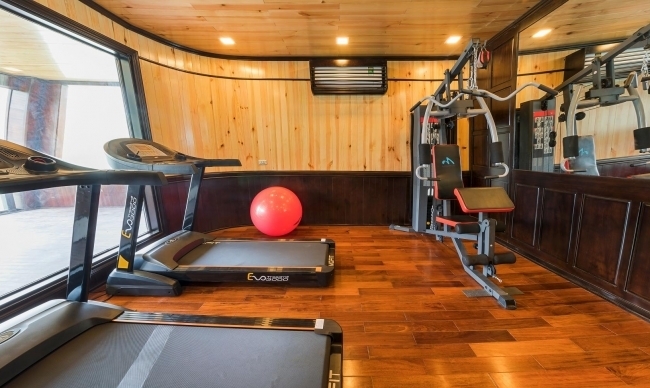 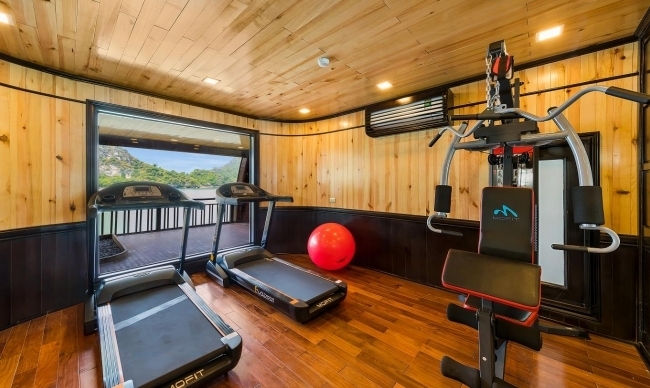 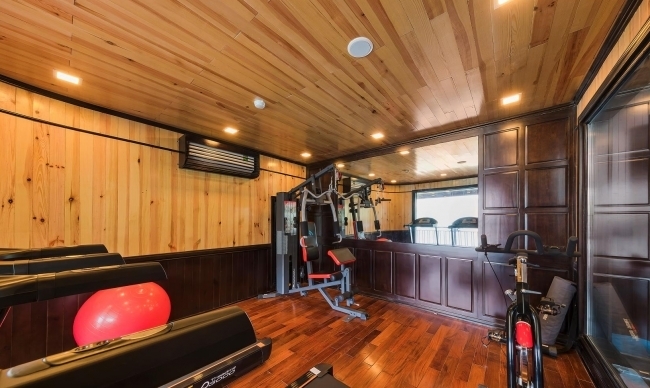 Our experts of wellness instruct you movements in detail, and especially, the true spirit of each wellness subject. 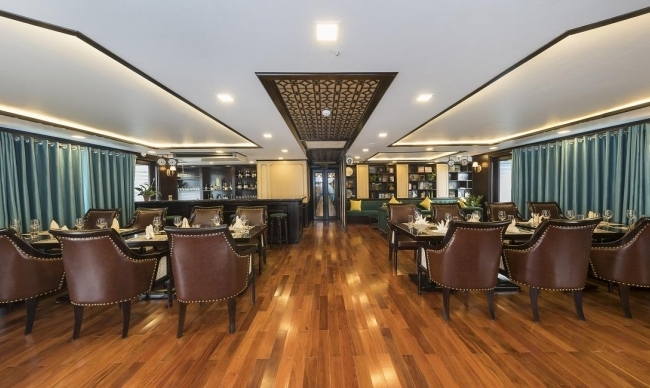 Morning Tai Chi, Yoga and Meditation Class lasts from 6:10 am to 7:00 am daily for those who would like to start a day healthy. 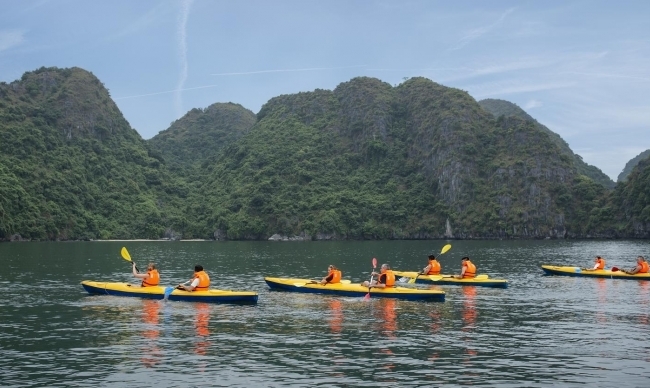 The class includes different sections of Tai Chi, Yoga and Meditation on your request. 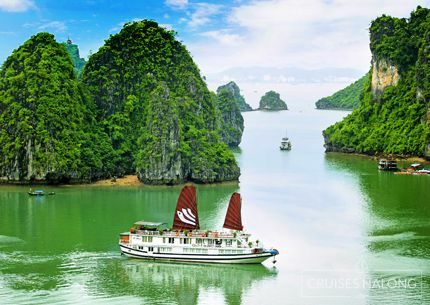 Amidst the magical scenery of Halong Bay, we expect to break the limitation of your mind with deep breath and absolute concentration. 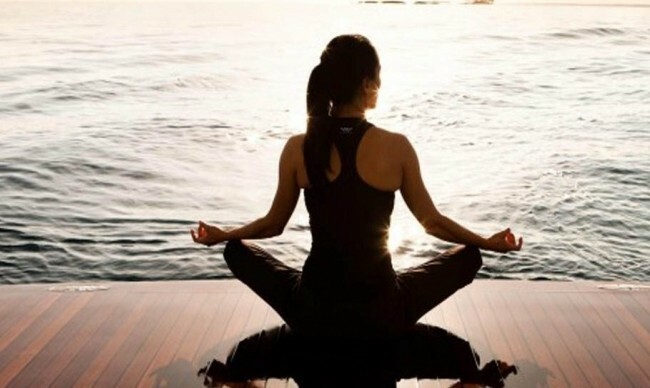 Feel the edge of your body and mind fader and finally merge into one. 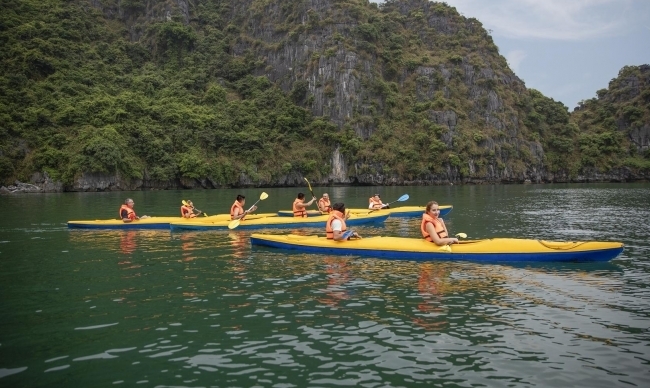 It’s the time when you have an incredible experience of your lifetime! 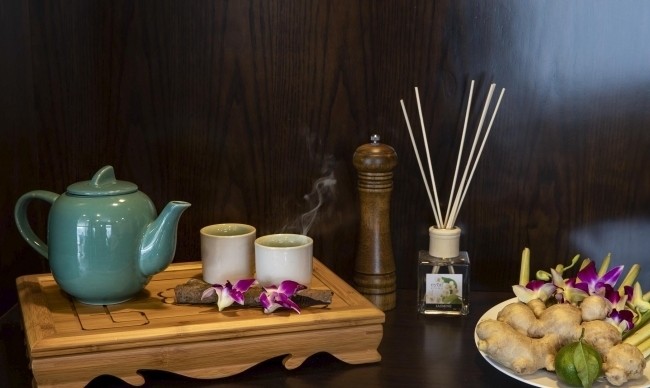 Complimentary tea and coffee is served during the class. 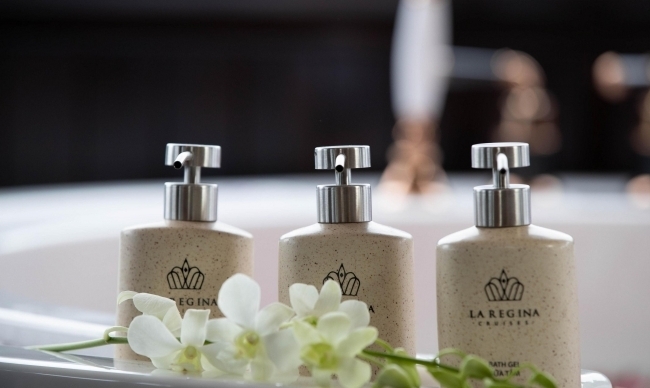 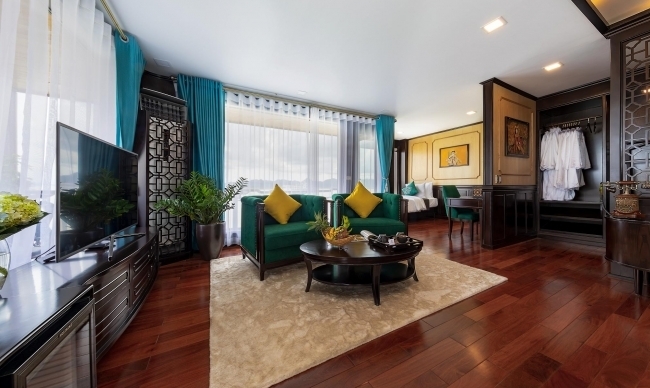 At La Regina Legend, 'luxury' means extraordinariness and exclusiveness. 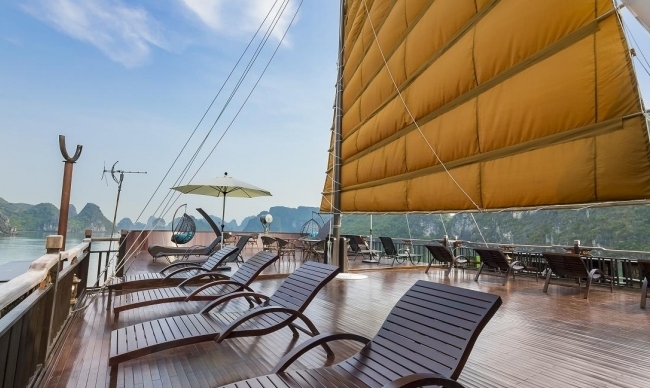 Based on this philosophy we try our best to turn your voyage exceptional. 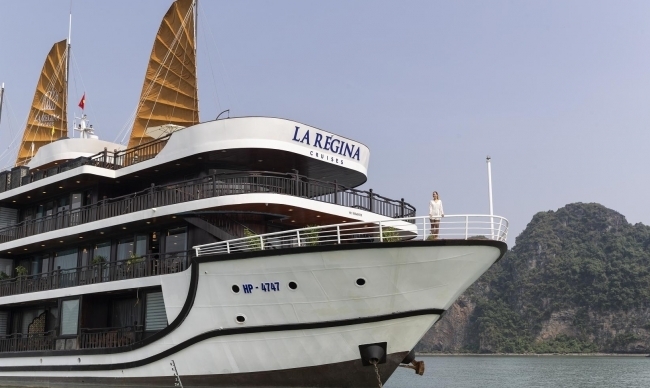 We are proud to offer sailing boat scenic tour and chartered yachting experience only and exclusively with La Regina Legend. 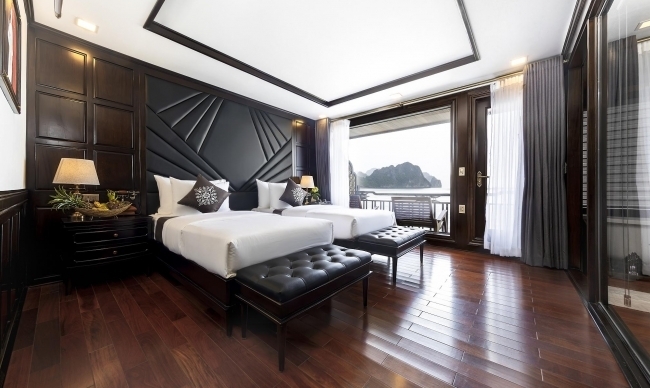 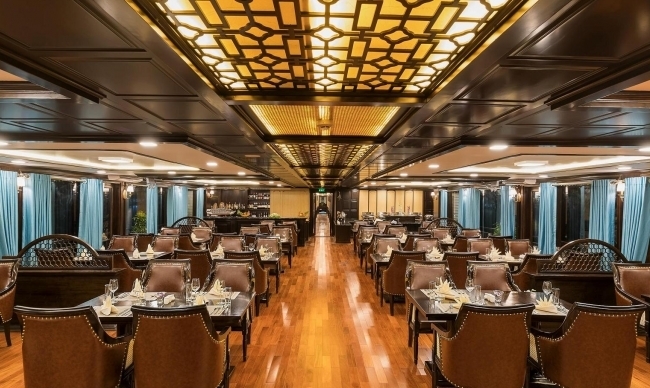 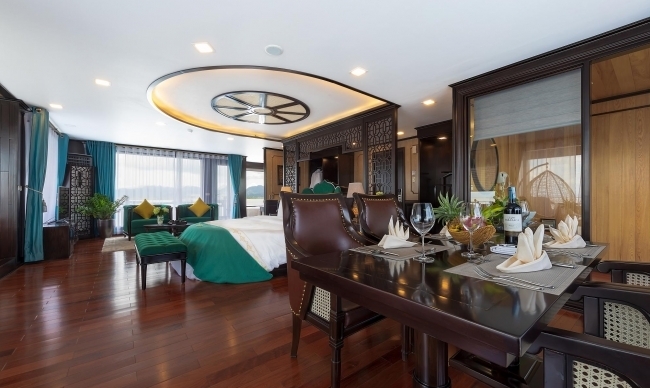 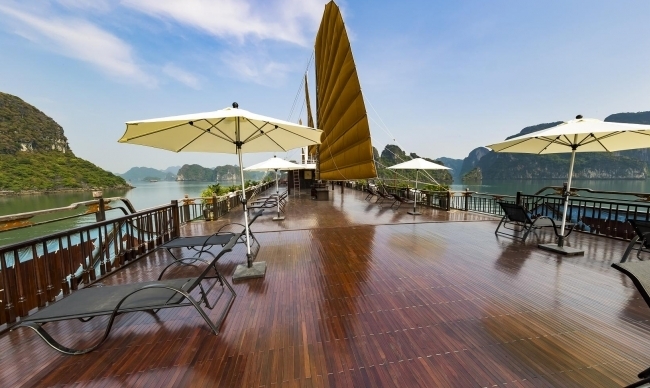 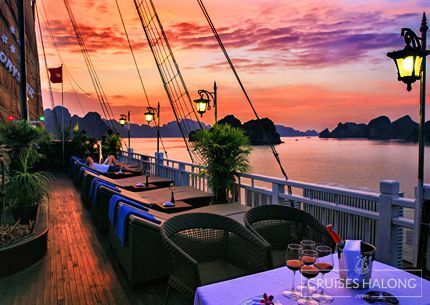 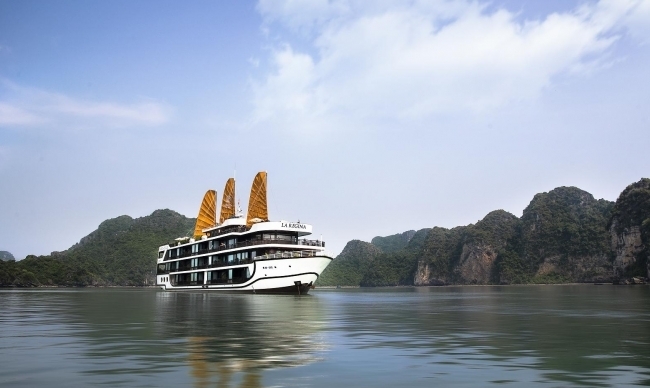 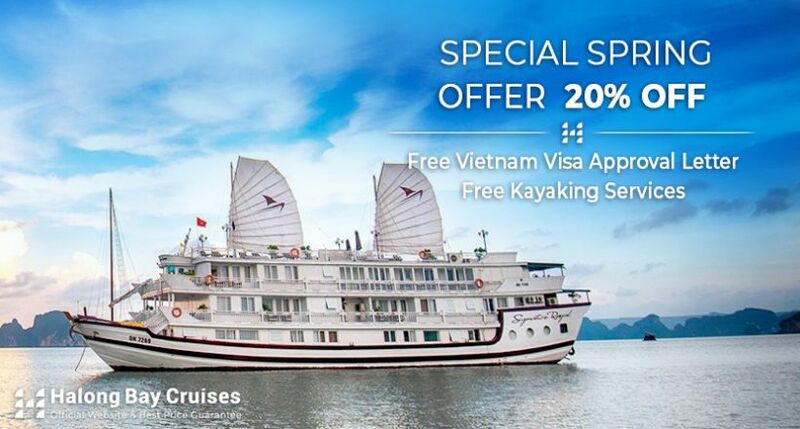 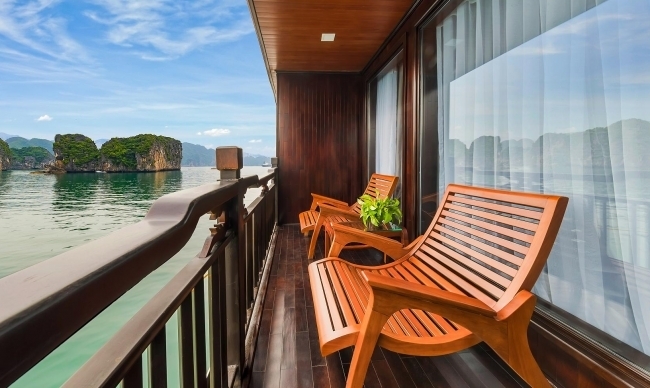 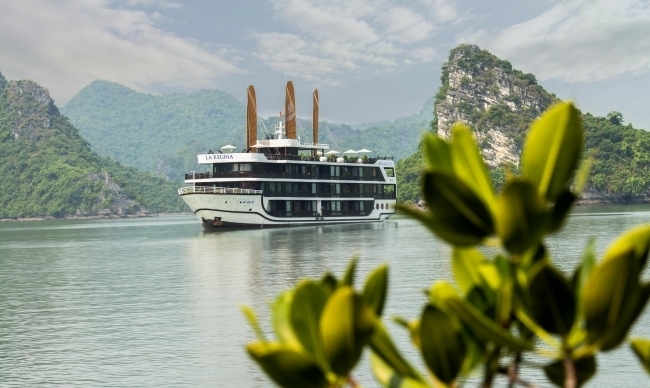 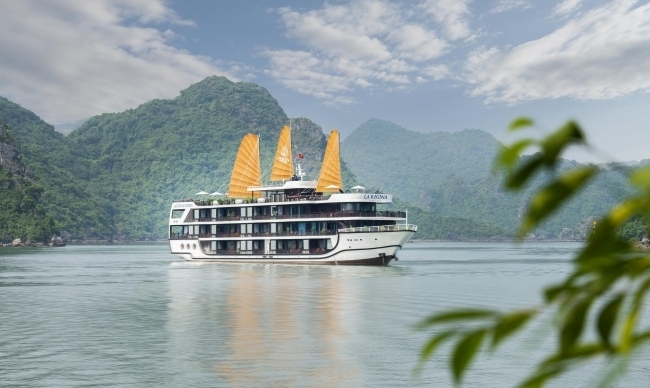 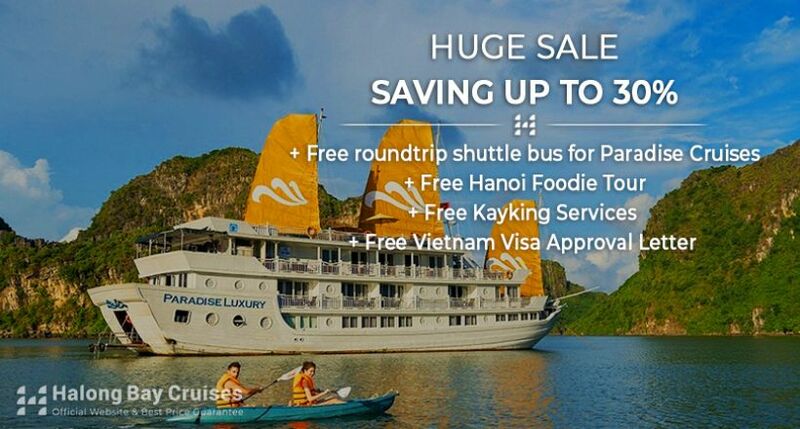 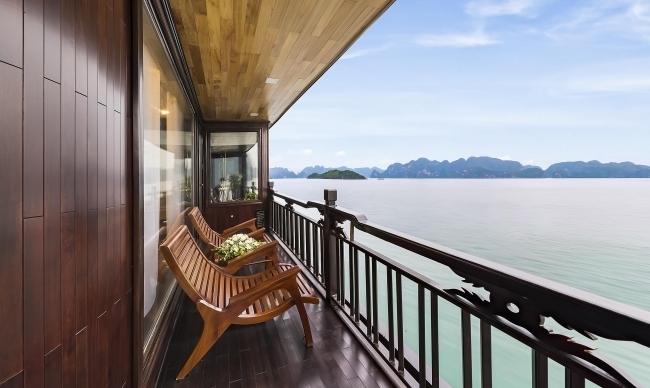 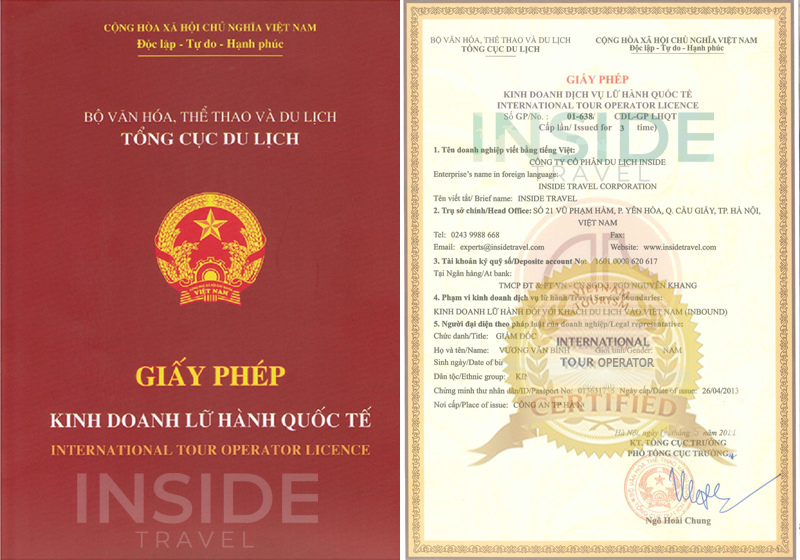 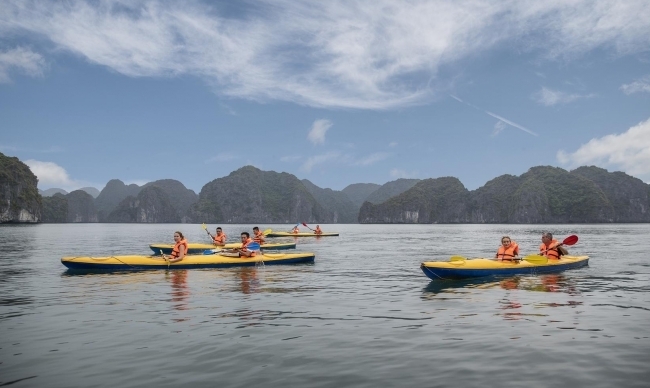 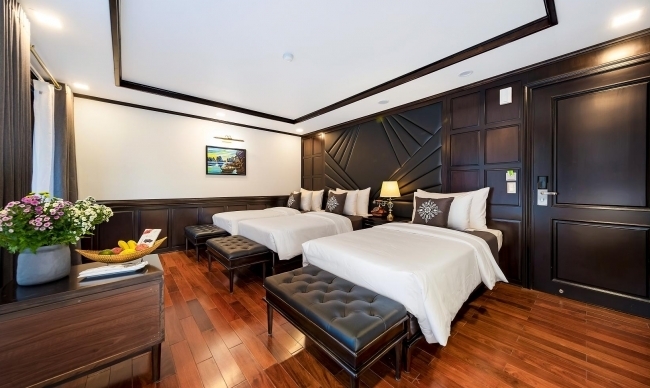 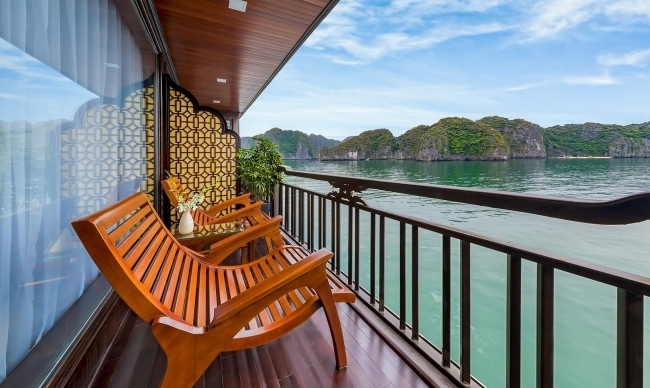 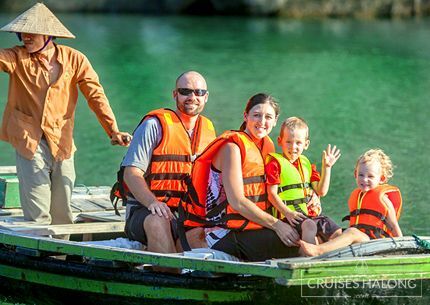 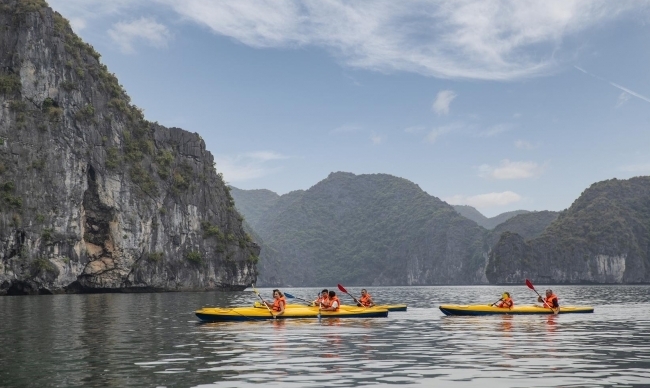 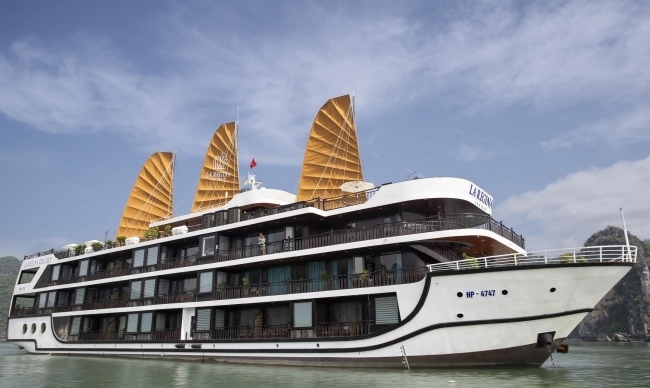 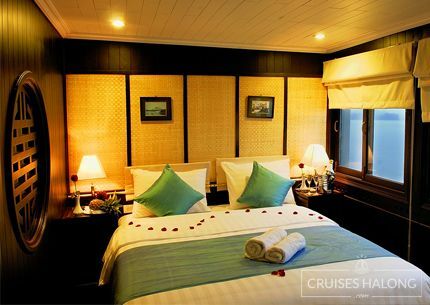 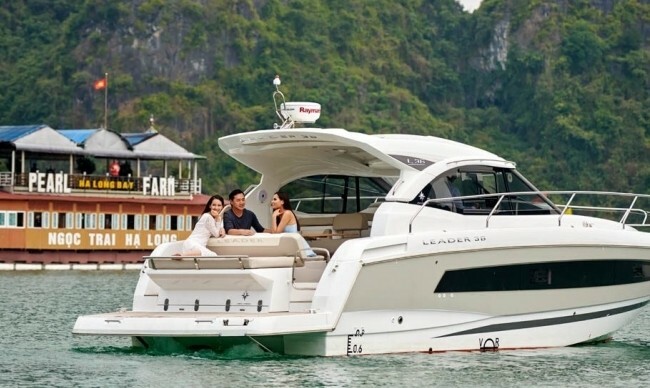 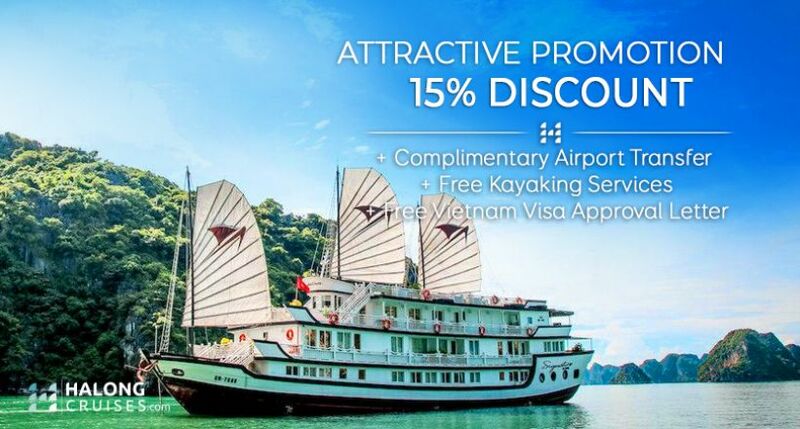 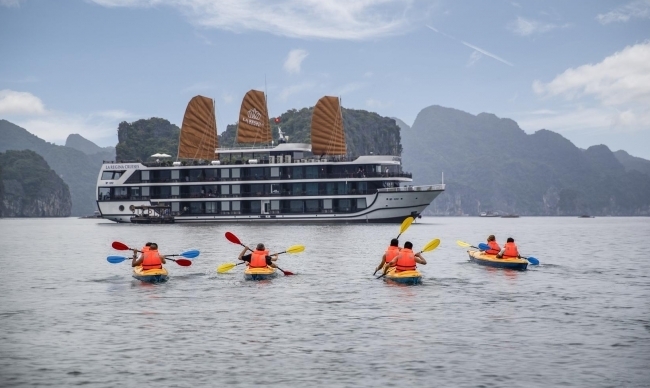 We are the first and only overnight Halong Bay cruise offer this extra luxury service. 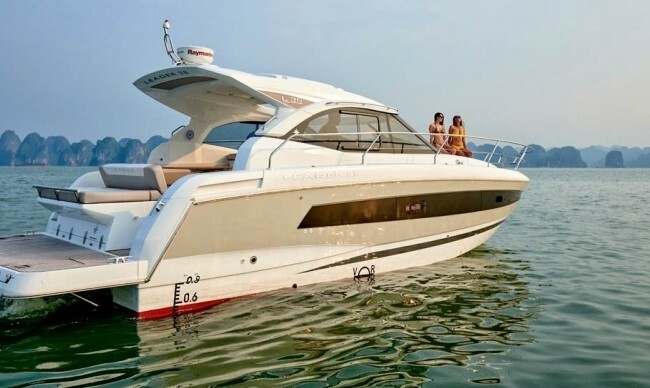 You have two options to choose, whether a short sailing boat for maximum 6 people or high-end Jeanneau branded yacht provided by Vietyacht Marina Club.